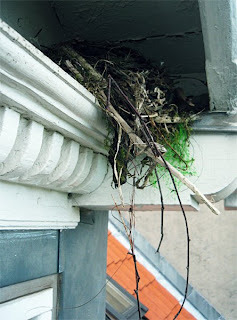 A bunch of squatters have taken residence under the roof/ledge, shielding one of my windows. Soon I'll have their (probably pierced, tattooed and skanky) kids making a racket. Sheeeesh, I say!